The mission of our research program at the Plant Bioactives & Bioprocessing Research Laboratory of Texas A&M Univeristy is to generate information that can benefit the agriculture and processing industry by adding value to crops through bioactive compound discovery and the design of appropriate methods to enhance their content in plants as well as extend their post-harvest shelf-life. the mechanism of inhibition or activity, study extraction methods and stability properties. Our bioactive compound discovery work has the potential to provide value-added to a diverse range of crops (novel crops from germplasm in Brazil, Peru and Mexico, crops from breeding programs in the U.S. and commercial lines) and the possibility to reach markets and processors such as the food industry, dietary supplements, cosmetics, pharma-ceutical and agrochemical. In a second research area, we study the biosynthesis of selected secondary metabolites (specific phenolics, terpenoids, others) of potential use for their unique functional and bioactive properties under pre- and post-harvest stresses (wounding, gas composition, UV light, chemical elicitors, others). Studies include compound identification, the key enzymes of the metabolic pathways, and the signaling molecules involved. In addition, we study and design strategies to extend the shelf-life of fresh produce while enhancing the health related properties of fruits and vegetables. For this purpose we use combinations of abiotic stresses to design appropriate technologies. We prepare samples and separate differenct chemical compouds in this lab. We perform chemical and physiological analysis, as well as quality analysis. 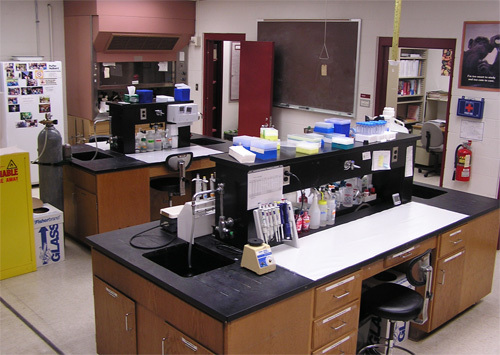 These labs are located in Room 131 and Room 504 of the Horticulture and Forest Science Building. This lab is for teaching, research, and industry service. We process post-harvest products through various means. 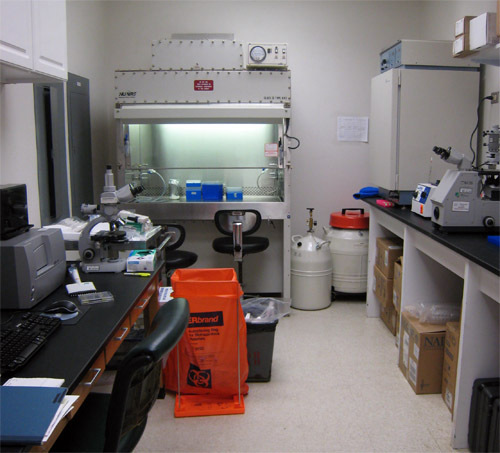 This lab is located in Room 130 of the Horticulture and Forest Science Building. This lab is for conducting bioactivity compound discovery using an array of assays including cancer, antimutagenic, antioxidant, antimicrobial, cardio, and others. 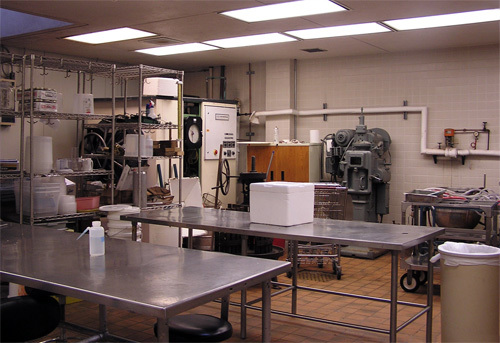 This lab is located in Room 131AB of the Horticulture and Forest Science Building. 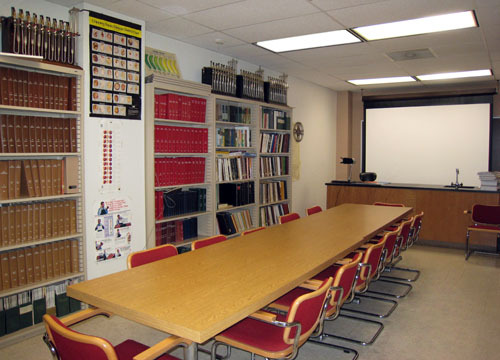 This room is for research, weekly meetings, presentations, and discussions. It also contains a collection encyclopedias, journals, and other reference materials pertaining to food science. This is located in Room 131A of the Horticulture and Forest Science Building.